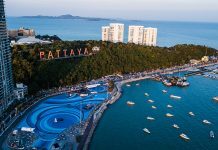 For many expats who have made Pattaya their home away from home for more than 15 years, the changes to the resort have probably crept up on them slowly. At one point the city was the bricks and mortar equivalent of the national ‘black sheep of the family’, but over recent years it now enjoys are far more ‘respectable’ reputation. 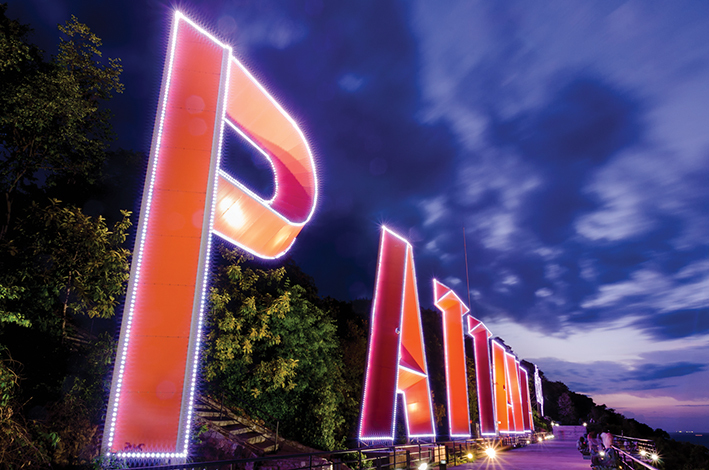 Of course, what is euphemistically termed Pattaya’s ‘vibrant’ night life remains arguably its most potent tourist attraction, but the city administration has, over the past decade or so, managed to build up its other strengths, especially its proximity to the capital. The paradigm shift was certainly given emphasis in local Thai minds with the 2011 floods which inundated parts of Bangkok. The floods saw a trek of middleclass Thais decamping to Pattaya and surrounds to escape the rising waters, and sparked the realisation that here was a city with all the services of Bangkok just a couple of hours down the road from the capital. The opening of Central Festival Mall in the wide expanse between Beach Road and Second Road Soi 9, replacing a brace of tired old beer bars at both ends, was a definite statement Pattaya was undergoing a strong change. Holiday Inn, one of the world’s premier hotel chains, set up in business. Amari expanded its already well-respected product, with business people taking up as much room ‘space’ as tourists. Upmarket property developments have been a part of the real estate landscape in the city for most of the last decade. While there were many who questioned some of the developments, wondering where all the buyers were going to come from, the reality is that most of these places have been well patronised. Clearly, the market does exist, and it is one which is strong. As the developments have grown in sheer numbers from some of the biggest property developers in the country, so too has the need to cater to this upwardly mobile marketplace. The Thai-run upmarket furniture showrooms Decco and Chic Republic on Sukhumvit Road in south Pattaya opened a few years ago and the management of both of these companies believed the Pattaya market was becoming more sophisticated, both among Thais and foreign expats, and they were looking to position themselves within that marketplace. 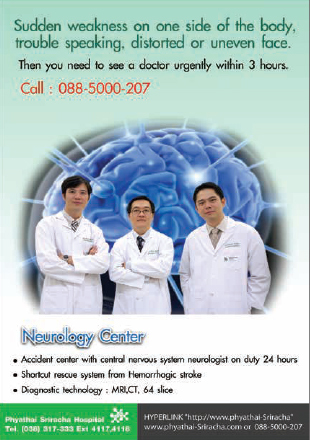 Medical tourism is another area not just confined to the better quality hospitals of Bangkok. Just down the road in Sri Racha, as well as in Pattaya, there is plenty of evidence of foreign visitors taking advantage of the high level of medical services available in the resort. This success in its turn helps drive the restaurant, hotel, and property market in a kind of knock-on fashion. People who have used the medical services are likely to stay for a little time afterwards to recuperate. This augurs well for both hotels and good restaurants in the shorter term. In the longer term, if people like what they see, it may well lead to an interest in taking on a property as either a second home, or even as a major place of residence. Travel is slowly getting easier between Bangkok and Pattaya, with by-passes enabling traffic not coming into Pattaya proper to be fed away from the main roads, and, of course, the new tunnel feeding traffic heading into south Pattaya should be open by the time you read this. This means there is a greater chance of some key businesses being prepared to relocate their main operations to Pattaya. 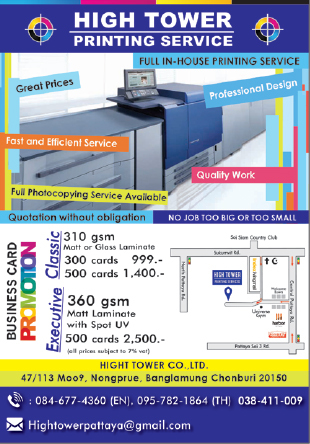 The corridor between the two cities is already notable as a dormitory region, and the deepwater port at Laem Chabang also adds to the Pattaya attraction. Pattaya will certainly be at the forefront of business on the Eastern Seaboard and beyond for the foreseeable future.